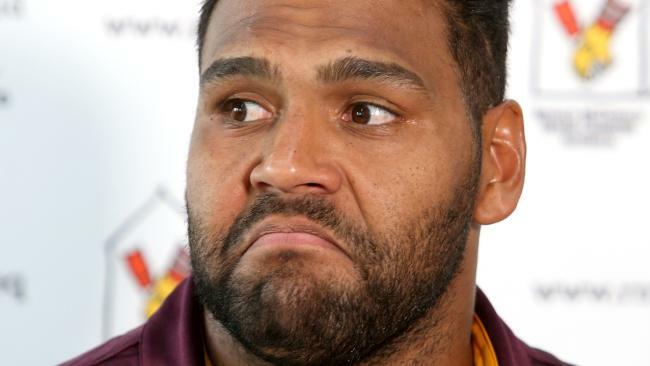 SAM Thaiday admits Brisbane's premiership excuses are over and has challenged the squad to find a more "ruthless" edge to break the longest title drought in the Broncos' history. 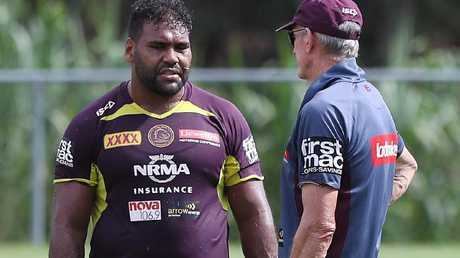 As he prepares for his final NRL season, veteran enforcer Thaiday says Brisbane's plush new $27 million training facility is evidence the Broncos have every resource to win another premiership. Regarded as Queensland's flagship sporting team, pressure is building on a $42 million Broncos empire which won the last of its six premierships 12 years ago. Thaiday is just one of two survivors from Brisbane's 2006 premiership team - the other is current skipper Darius Boyd - and the retiring forward concedes it is time to hold aloft the NRL trophy. 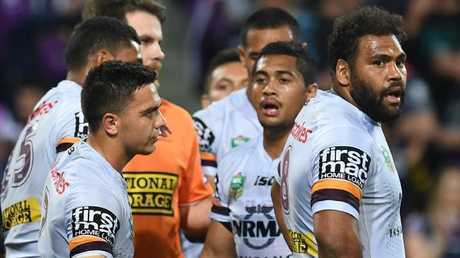 "We've always been a team that has been built on success, even from day one (in 1988)," said Thaiday, who was just 21 when the Broncos upset the Storm in the 2006 decider. "We've got the brand new facility now - we've got zero excuses. "Now we have to convert all the good things that are happening off the field into good results on the field. "As a player I will be pushing hard to get us to the big dance at the end of the year. "Over the next few years, with the youth we have coming through, I'm sure we are going to be a real threat to the competition." 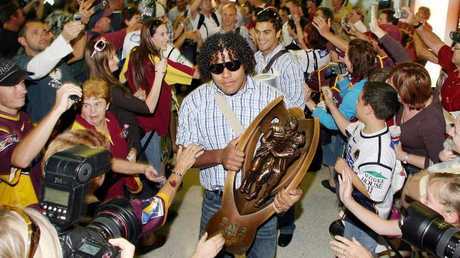 A hairier Thaiday with Karmichael Hunt after winning the 2006 premiership. Bookmakers Ladbrokes have the Broncos well behind the Roosters, Cowboys and Melbourne in premiership betting, installing Wayne Bennett's troops at $12 to win a seventh crown. 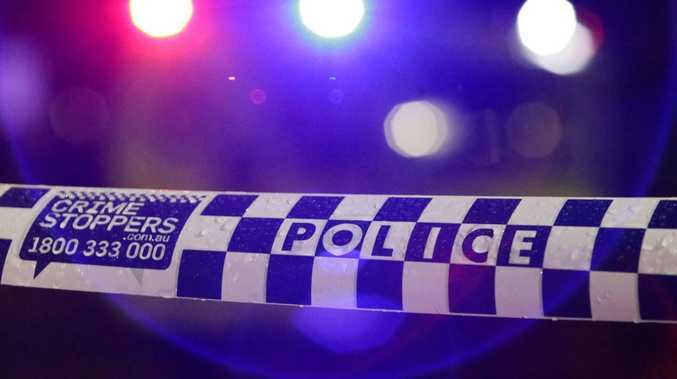 The Broncos reached the penultimate week of the NRL season last year, but their title dreams were left in tatters after being thrashed 30-0 by the Storm in the preliminary final. Brisbane's top squad has since been decimated, with four key top liners - Ben Hunt, Adam Blair, Herman Ese'ese and Tautau Moga - joining rival NRL teams this season. The Broncos enter their Round 1 clash against the Dragons with several question marks. Kodi Nikorima must prove himself at halfback, Moga's left-centre slot is vacant and Bennett is banking on Thaiday to fill the front-row void left by Blair and Ese'ese. Thaiday admits Brisbane's finals capitulation last year against the Storm, after a promising start at AAMI Park, is evidence the Broncos must learn to hang tough and relish the grind. "Looking back at that semi-final against Melbourne, for that first 20 or 25 minutes we were competitive, but a game is 80 minutes long," he said. "We need to be more ruthless in the way we play our games and make sure when we have opportunities, we need to take them and convert them into points. "We've lost some players in our pack, but we've still got a really good pack. "There is a lot of experience and the most important guys are the three big boppers on the bench, whatever combination that will be. "Those young guys who come off the bench (such as Korbin Sims, Joe Ofahengaue and Tevita Pangai Jnr) are going to be the key to making sure our season goes in the right direction."